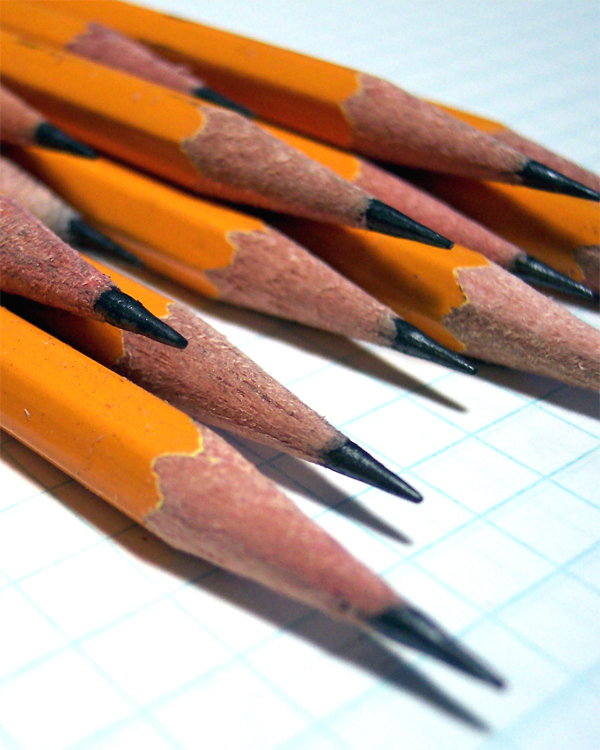 This site provides information and links to resources on program assessment and evaluation. The contents are particularly geared toward Cooperative Extension professionals but may be useful to others working in community-based informal education. The goal is to help you learn and improve your skills to better evaluate educational programs, and assess the impact of these programs on personal, social, environmental or financial parameters. These resources are grouped by specific strategies and skill involved with program development, implementation, assessment and evaluation, and analysis and reporting of findings. Although intended for novice program evaluators who are learning, and novice or competent program evaluators who are honing their skills, the site offers a wide range of informational and educational materials that can enhance anyone's knowledge and skill levels. The list includes a description of the contents of each resource created to provide a quick overview of the contents. Included is a hyperlink to the publically accessible document, and an indication of file type, if appropriate. The resources listed include practical tools such as how to guides, fact sheets and other self-help and training materials for individual or groups. Journal articles that provide evaluation theory and research on methodologies as well as real world examples of evaluation in practice are also included. While many additional resources exist, this compilation provides an array of materials that will be useful to the practitioner who may not have formal training in program evaluation. The list was generated during an effort to find and catalogue practical and relevant materials. Please contact us if you have any suggestions on resources that might be added to this inventory. Cooperative Extension professionals are aware of the Logic Model, a systematic approach to planning, implementing and evaluating programs depicted here. 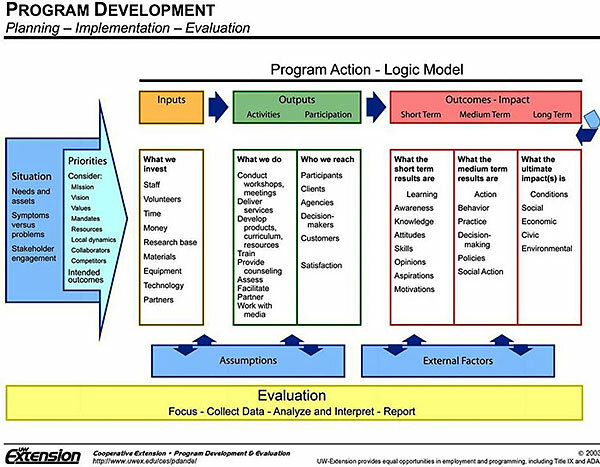 This schema depicts various stages involved in program development. Program development requires specific actions that help one determine needs; set priorities and measureable objectives; establish intended short, medium and long term outcomes; and plan for necessary inputs to conduct activities with clientele. Along this continuum evaluation and related assessment activities are planned and take place. The following strategies and skills define the step by step efforts that must be understood and carried out to develop and implement successful program assessment and evaluation efforts.